The espadrille wedge is classic for summer, but let's find a fabrication a little more unique, shall we? 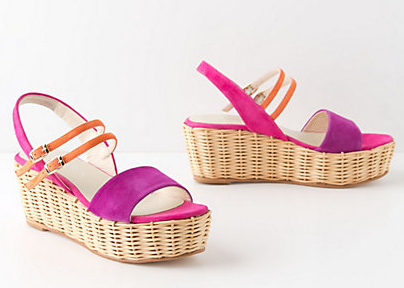 OMG, a pair of wicker wedges - how delicious! Buy at Anthropologie for $248.